Friends and students often ask me if I still sew for fun, even though sewing is also a big part of my job. And the answer is: of course! Here’s a project I just finished. I’ll blog about it soon. What are you making these days? And do you often find that you’re sewing for two different seasons at the same time, or is that just me? If you’re looking for a little spring sewing inspiration, what about using the Building Block Dress book to make a blouse like the one on the left, below? 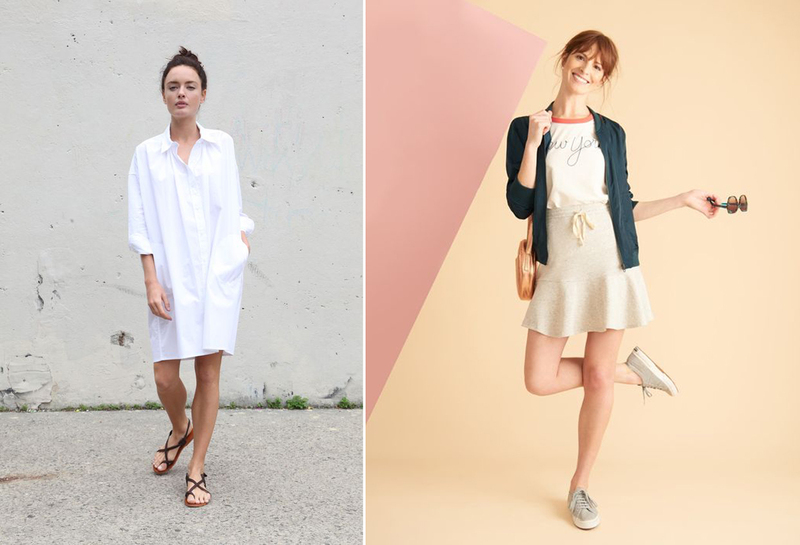 Or maybe the image on the right might inspire an Oliver + S Pinwheel Dress? I had to laugh while pairing these two images. It wasn’t intentional! 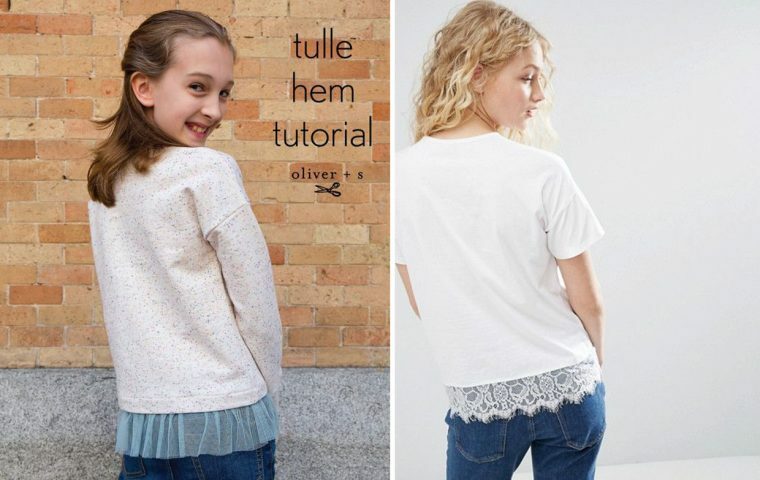 But you could easily use this week’s Tulle Hem tutorial and replace the tulle with lace for a similar look to the tee on the right. Madrid’s hottest restaurant is completely different than you might expect. Wouldn’t it be great if we could have lots more restaurants like this? These images by British artist Suzanne Moxhay are slightly haunting and entirely intriguing. The quilting community has a history of reaching out to victims of tragedy by making quilts. 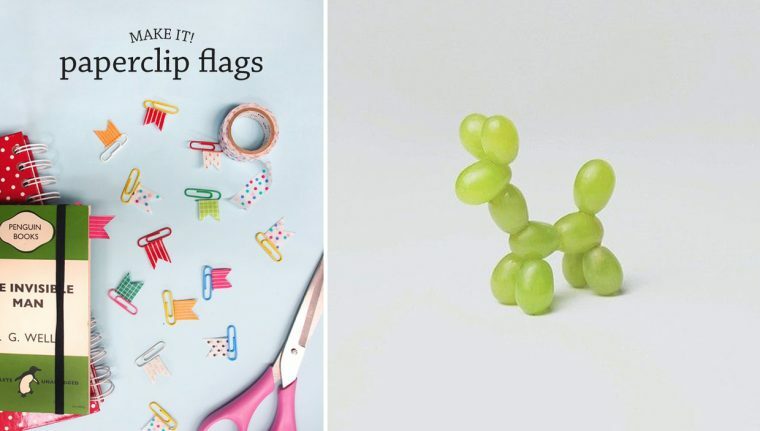 Here is a lovely project you might like to contribute to if you’re looking for a weekend project. An interesting perspective on why it’s important to teach children to sew. Instagram of the week: @desserted_in_paris. Parisian pastry chef Tal Spiegel takes photos of pastries that coordinate with his enviable shoe collection. Listening: these three TED talks by ad guru Rory Sutherland are so interesting and quite entertaining. Fashion history lesson: 1968, the year the shift dress lost its shape. Demonstrated in sewing patterns, no less. One of the things I love about traveling in Europe is the chance to glance other people’s passports. The designs are so interesting, and you can see what I mean here. Next week I’ll introduce you to my newest Lisette for Butterick pattern and give you some fabric suggestions for sewing it. Have a great weekend! 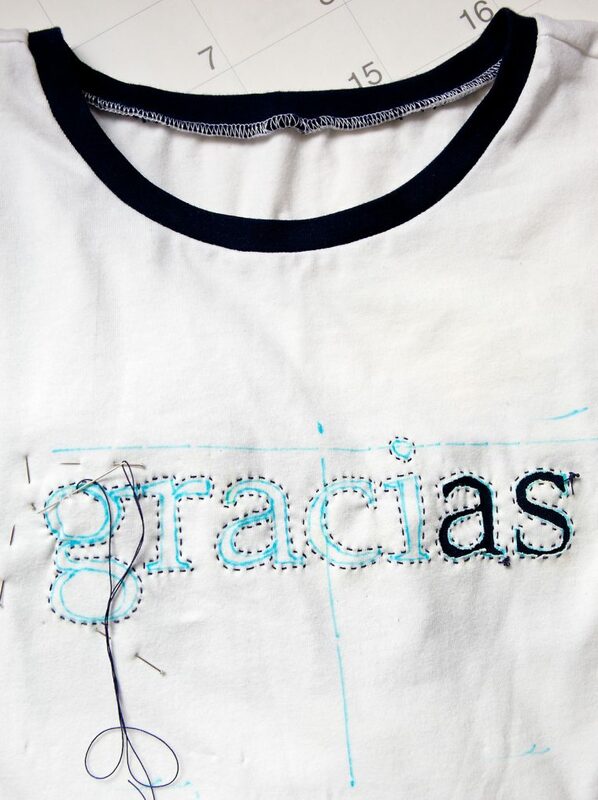 I love your gracias project! I have ordered the Lisette for Butterick 6464! I was yesterday all day wondering how was it possible that I had missed your introduction to it. Now I see I must be a pioneer!! I love that top, I’m eager to read your suggestions! I saw the new pattern online and have been eagerly anticipating the introduction. 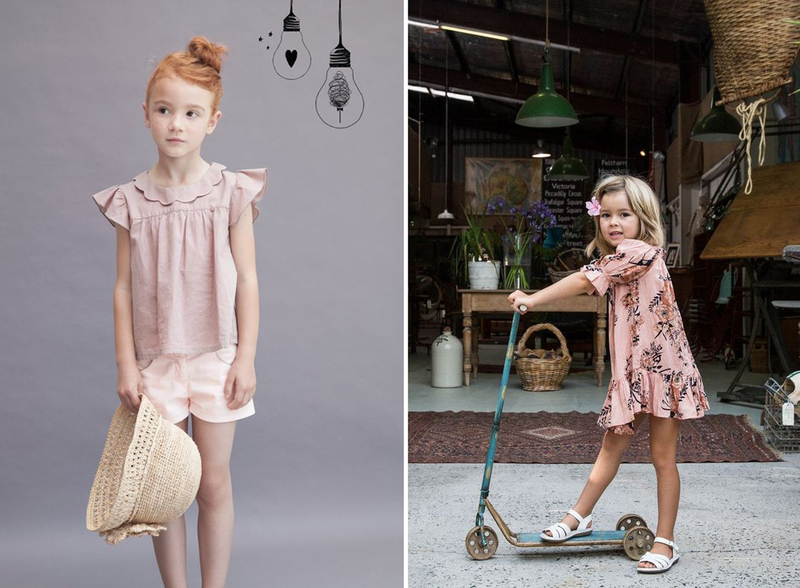 Loved the sewing for kids article. My kids went to a parent participation school where they sew a teddy bear in 2nd grade and then have a teddy bear parade. Even the 5th graders show up with the teddy bears they made when they were 7. In third grade, they sewed a nine-patch quilt. They could put a backing on it or make it into a pillow.